For maximum results use on DRY HAIR prior to shampooing. Apply 2 to 3 pumps of serum into palm of hand. Rub hands together. Start at the nape and lightly glide hands down to the ends and continue by working product into the scalp. Depending on hair length and texture repeat the above step 1 to 3 times, (Just enough to lightly coat the hair.) We suggest using a little more product for extremely dry overworked ends. Optional: Use a boar bristle brush to distribute product evenly and stimulate the scalp. Leave treatment on for at least 15 minutes, overnight or before receiving any color/chemical service. 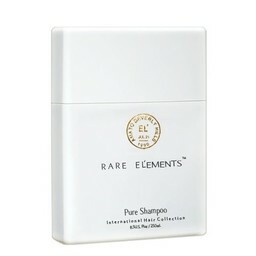 Shampoo and Condition with for example Rare El'ements Pure Shampoo and Essential Conditioner. Pre-Color Treatment: follow the above application, on DRY HAIR PRIOR to applying color or highlights, apply serum (just enough to lightly coat the hair). 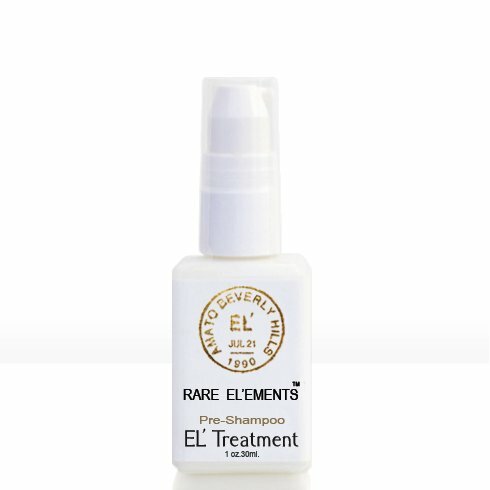 Leave product on hair and continue with the color application.The El’ Treatment helps give an even lift and deposit at a controlled rate, providing a more stable reaction for the hair and a more predictable outcome for the colorist. Shampoo & Condition. Camelina Sativa (CAMELINA) Seed Oil, Sclerocarya Birrea Oil (MARULA) Seed Oil, Limnathes Alba (MEADOWFOAM) Seed Oil, Adansonia Digitata (BAOBAB) Seed Oil, Macadamia Ternifolia (MACADAMIA ) Seed Oil, Dromiceius Novaehol-Landiae Oil, Butyrospermum Parkii (SHEA) Oil, Rosa Rubiginosa (ROSEHIP) Fruit Oil, Persea Gratissima (AVOCADO) Oil, Rosmarinus Officinalis (ROSEMARY) Leaf Oil, Citrus Bergamia (BERGAMOT) Oil ,Pelargonium Graveolens (GERANIUM) Oil, Aniba Roseaeodora (ROSEWOOD), Helianthus Annuus (SUNFLOWER) Seed Oil, Rosmarinus Officinalis (ROSEMARY) Leaf Extract.